Facebook, of all platforms, has revolutionized search as we know it. Yesterday, Facebook announced ‘Graph Search’, a new feature that helps us find people, places and things—and explore Facebook in a whole new way. 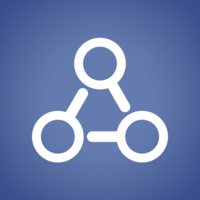 ‘Graph Search’ pushes Facebook well beyond the social networking realm. It’s a place to socialize and manage connections. Eliminate the newsfeed, the goofy photos, snarky comments, and over-use of the ‘Like Button’, and it’s all about connections. Now, smart search will allow us to traverse connections, allow us to sort connections, and allow us to connect with a greater amount of people in different types of ways. Lowe’s understands mobile. They don’t just ‘talk the talk’, but they have an app that can be used to ‘walk the walk’ through all of their store aisles that allows users to comparison shop, read reviews, etc. Lowe’s, a U.S.-based chain of retail home improvement and appliance stores that has retail stores in the United States, Canada, and Mexico serves more than 14 million customers a week in its 1,710 stores in the United States and 20 in Canada. With more and more consumers having mobile lifelines that can share competitors’ prices with them in a matter of seconds, the power is truly in the hands of the consumer. Thank goodness it’s Friday – and thank goodness Facebook updated their Mobile Application for the iOS. If there is anything worth doing before this weekend, it’s making sure you have updated/downloaded version 5.0. “We’ve rebuilt the app from the ground up, so now the app opens much faster and your news feed and notifications load right when you open Facebook,” the company’s product manager, Mick Johnson, wrote in a blog post on Thursday. The iPhone (and iPad]) application has been notoriously slow for quite some time now. Uploading your own status updates and images was slow – trying to scroll through the newsfeed and view several hours of status updates was a sub-standard experience as well. Supposedly, the iOS Facebook App is two times faster because it’s built on Objective-C not HTML5. The navigation is mostly the same, with the exception of being able to side-swipe out of the newsfeed and into menu options. Although the news is only a few days old at this point, mentions of Facebook’s Enhanced Post Targeting, outlined in yesterday’s Econsultancy post, and briefly below, is a feature that has been on my wishlist (yes, I have a running Facebook Innovation Wishlist!) for quite some time – and I am glad to see it taking shape. The Enhanced Targeting feature hasn’t been rolled out, and still is not 100% announced yet, however, it looks promising that the feature will come to fruition and will be available to Page Admins. We have the ability to target self-serve ad units the same way – so the tools and data sets are there to make this happen. Having been an Admin for a number of Facebook Pages since 2008, I’ve had a lot of time to think about enhancements to the Admin Portal and how my user experience could be optimized. Being an Admin of a Page means different things to different people – for me, it means that I am able to provide a reading of the ‘overall health’ of a Page at a quick glance at the metrics. More recently, it’s become necessary to spend more and more time in the Admin Portal, not only monitoring the ‘overall health’, but also monitoring how well (or not well) each post is doing. Why should we expect more from our usual social media mobile platforms? Well, why not? Without feedback, preferences, and usage patterns, companies like Facebook, Twitter, and Foursquare wouldn’t be connecting us on a daily basis. In 2012 however, we should expect a contextual experience from these sites – desktop and mobile alike. Facebook has made it even easier for fans to interact with brands – at least the brands that are willing, staffed to handle the increased engagement, and of course have the feature enabled and turned on. Message, a feature that was introduced to the world immediately following fMC in NYC on February 29th, provides a way for brands to engage in one-to-one conversation with the consumer. The brand is able to surrender the megaphone and in turn, receives the consumer’s attention and honesty with trust being the desired outcome.